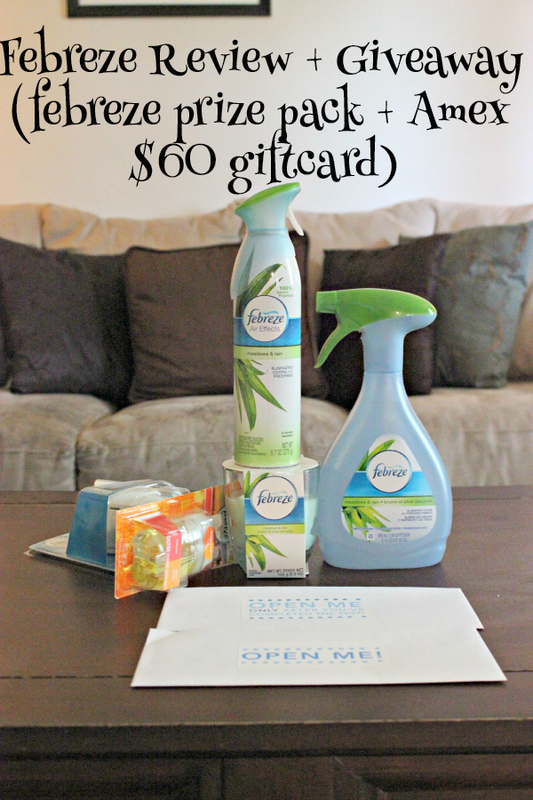 "This review and giveaway was made possible by Double Duty Divas and Febreze. I was compensated for my participation in this campaign, but all opinions are 100% mine." Are you familiar with what noseblindness is? It's essentially a nasal condition where you become accustomed to the odors aroundyou over time. Initially, our olfactory system was used to identify life-threatening dangers such as wild animal predators or poisonous plants. Due to modernization, the system has another role to deal with signal overload so it can stil be capable of executing its primary role to identify dangerous situations. I always knew that you could become .... used to smells. I always seem to notice it with smokers and people who have animals. I have a sensitive sense of smell and smokers and pet owners scents will really overwhelm me at times. They don't realize that when they've handled their cat/dog/whatever AFTER getting ready for the day, the odor is stuck to them. I had a few friends over and we had a movie night with popcorn. Movie theatre popcorn and The Hobbit: Desolation of Smaug makes for a perfect night! Prior to the movie, each of my friends took the first Noseblind Survey. Then I popped the popcorn and we each took the second Noseblind survey. We watched The Hobbit: Desolation of Smaug (awesome movie, by the way!) and we took the third Noseblind survey and then the final survey. One thing we learned- popcorn smells are very predominant and by the end of the movie, none of us noticed the smell of the popcorn any longer! Crazy huh? Of course, once the movie was over and I had opened the door to let my friends go home, I was able to smell the strong popcorn smell again thanks to the fresh air. I went ahead and cleaned up, sprayed a bit of Febreze and the smell was gone again thanks to Febreze's odor neutralizing power! I have always been a fan of Febreze and have always enjoyed the scents they have available in their product line. Have you ever noticed that you have gotten used to a smell? Follow Febreze on Twitter and Facebook. How about a giveaway? Please enter via RaffleCopter for US residents only.